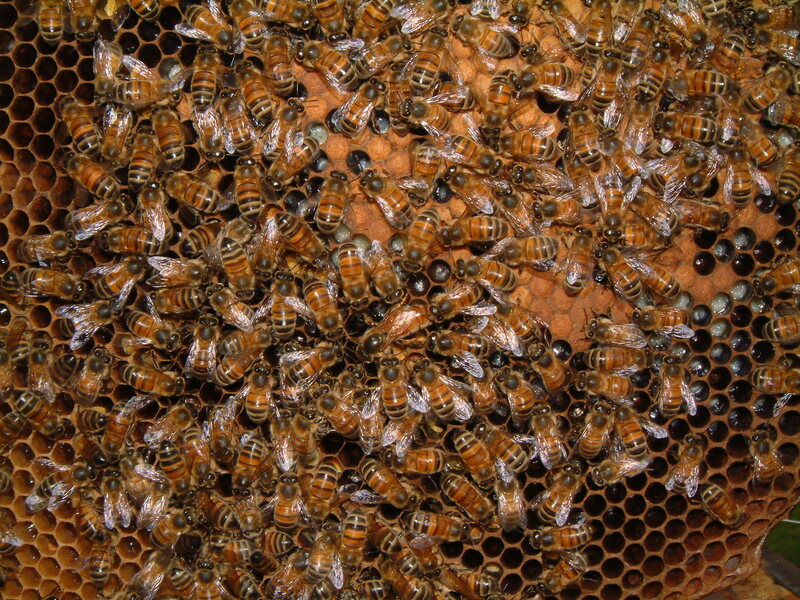 A productive queen will lay up to 3,000 eggs in a single day. Once hatched, these worker bees perform a sequence of jobs – cleaning the nursery, caring for and feeding the larvae, collecting nectar, making wax comb, guarding the hive and fanning their wings to keep the hive cool. If you would like to find out more about becoming a beekeeper, please read our guide or come along to one of our meetings, where you will be given a warm welcome.